Each and every kitchen project undertaken by our specialists is completed to a very high end finish and with years’ of experience they have a wide array of happy clients. Providing excellent design and installation services in addition to a selection of middle to high end kitchens, their stock includes styles from classic to contemporary to suit all personal tastes and requirements. As experienced designers in the Devon area, they can also provide an additional range of high end products, including wooden, stone and tile flooring, stunning worktops in quartz, corian and granite finishes, glass and stainless steel splash backs and a range of sinks. Why not pop into one of their showrooms and speak with their highly knowledgeable design team or book an appointment at a time to suit you to discuss your requirements? Their friendly team will happily draw up your ideal kitchen plan, complete with beautiful accessories to complete your dream kitchen. 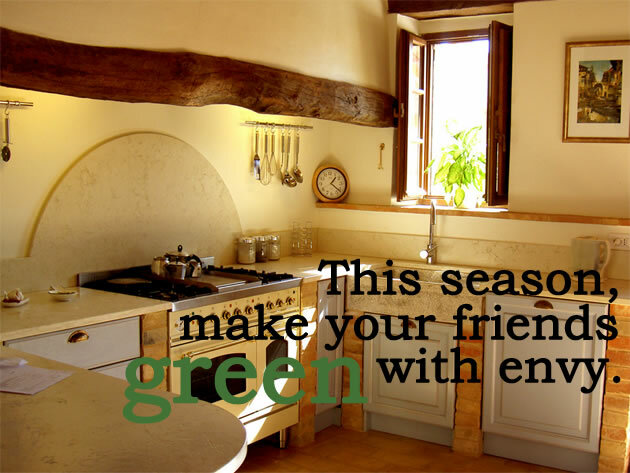 make a kitchen somewhat green with no extra expense or difficulty’. 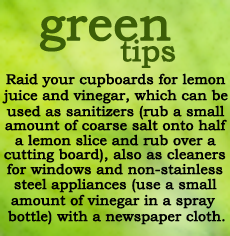 So prepare to put this theory to the test as we bring you the latest trends and tips in eco-friendly kitchen designs. Look around any kitchen, the flooring and countertops are probably granite or marble – both of which are completely non-renewable. 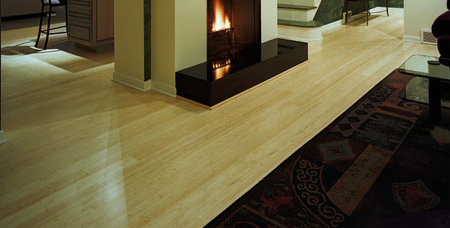 The best replacements seem to be cork, natural linoleum and even bamboo. Don’t be too surprised, housewares expert Gus Dallas claims that bamboo is the latest craze in kitchen products, being widely used for everything from flooring to cutting boards. Lighting is an aspect of environmental awareness that most of us seem to be fairly up to date with, energy saving bulbs being present in most household thanks to the increasing unpopularity of ‘traditional’ bulbs. If you haven’t yet converted to ‘Eco-bulbs’, they are readily available relatively anywhere and cut energy consumption by fifty percent. If all else fails, you can always fall back on the tried-and-tested option of natural light, which can be applied to the entire household. If installing a new kitchen, ensure there is an adequate amount of windows, or simply open the blinds to provide as much sunlight as possible – this requires no energy and is completely free! 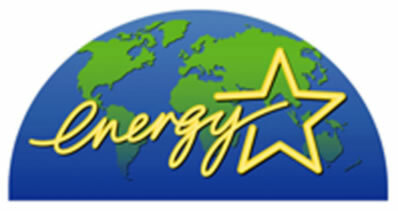 Whilst on the hunt... for your new kitchen products and appliances, look out for those that have earned the ENERGY STAR. This proves that the product has met strict guidelines set by the US Department of Energy in order to help cut your energy bill by up to a third.